In addition to carrying car insurance limits as required by law, looking into optional coverage is a good idea. If you think you are completely covered because you have “full coverage” insurance, you should know that full coverage doesn’t actually exist— it is a term often used to refer to the combination of state-required liability or no-fault car insurance and collision and comprehensive coverage. In an auto insurance policy, the deductibles apply to property damage – for the optional comprehensive or collision coverage. For example, if you have $5,000 damage to your car from an accident and you have a $1,000 deductible, your insurance will pay $4,000 and you are responsible for $1,000. There are a variety of different types of auto insurance coverage options you can add beyond “full coverage” to increase your level of protection. Because there are many high-risk drivers sharing the road with you, consider getting Uninsured/underinsured motorist coverage (UIM). UIM pays for the policyholder’s injuries and property damage caused by a hit-and-run driver or a motorist without liability insurance. It will also pay when medical bills and car repair bills are higher than the other driver´s liability coverage. GAP insurance – or loan/lease insurance – can protect you if your vehicle is financed or leased. If your vehicle is totaled due to an accident or via theft, GAP typically covers the difference between what your car is worth and what you still owe on it. Towing and labor pays for covered towing and labor costs if your vehicle is disabled, up to your policy limits. Car rental insurance – Will Your Insurance Cover Your Car Rental Cost? This is an optional coverage item that can be invaluable. Rental reimbursement or extended transportation expenses coverage can pay for a rental car if your car is damaged in a covered accident and your car is out of service for longer than 24 hours. Whether you’re purchasing a new auto insurance policy or want to switch to a different company that offers better rates, you’ve come to the right place. 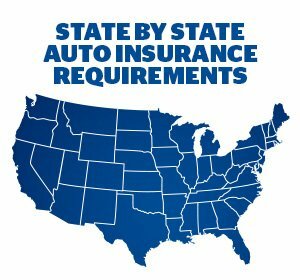 Get a free auto insurance quote online by entering your zip code at the top of the page or by calling 800-777-5620. Compare auto insurance rates for multiple companies and choose the policy that fits your needs and budget.